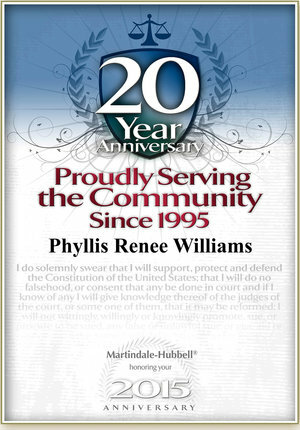 Phyllis R. Williams, P.C. – Top-notch personal injury & family law services. Hurt in an accident or dealing with a family law matter? You need experienced legal guidance you can rely on. At Phyllis R. Williams, P.C., we only handle personal injury and family law cases so we can give your case the attention it needs. As our client, making you whole will be our top priority. Our firm is built on three guiding principles: (1) personal service, (2) a hands-on approach, and (3) a deep commitment to helping clients reclaim their lives. You’re not a file number or a stack of papers. Why choose a law firm that treats you like one? At Phyllis R. Williams, P.C., we won’t take your case unless we truly believe we can win and are prepared to work tirelessly by your side. This is your life. It deserves one-on-one attention from a lawyer fully committed to helping you achieve your goals. That’s what we provide: personal service backed by the strength of our commitment to your cause. We approach every case as if we will have to take it to trial. From day one, we are looking at how a particular case will look in front of a jury. Unfortunately, many attorneys will settle a case at any cost because they are afraid to face a trial. Unlike those attorneys, we are prepared to take a case to trial to get the best results. As a former insurance claims representative, our founding partner (attorney Phyllis R. Williams) knows how to fight back against insurance companies and has done so for more than 20 years. 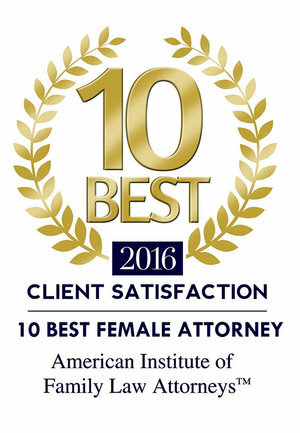 While we have achieved excellent settlements for many of our clients, our detailed, hands-on approach to cases has earned us a reputation with insurance companies and other attorneys as a formidable litigation firm. If you need a compassionate, dedicated lawyer in your corner, call our office today. Our clients know they can count on us – not just because we have an impressive track record of success, but also because we offer our clients a solid shoulder to lean on in difficult, challenging times. If you’re struggling with a personal injury or family law matter, give us a call today. It would be our privilege to help you when you need it most. Injured? Dealing with a family law crisis? Contact us to get the help you need.